Do you cook for someone who because of diet restrictions are dairy free? Or maybe you yourself are and you’re constantly looking for dairy free desserts to satisfy that sweet tooth? 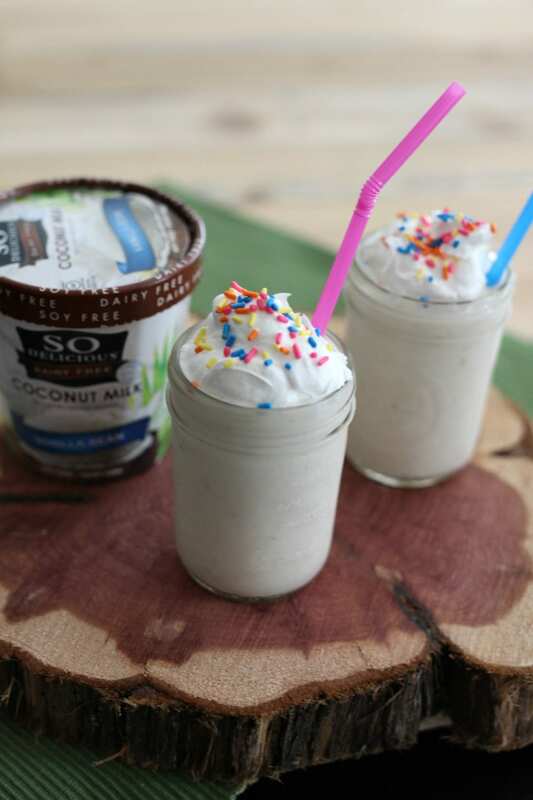 I have just the perfect dessert for you that is completely dairy free, cold, sweet and oh So Delicious. Between my husband’s gluten intolerance and lactose issues, there are days he feels like there’s nothing left for him to eat. I also have a child who can not eat a lot of dairy, so he just stays away from things like milk and ice cream. And come summertime when everyone around them is eating ice cream or whipping up smoothies, it’s very frustrating when they want to indulge too! Summer equals ice cream and milkshakes am I right? Don’t let the picture of the “milk” shake above fool you. It’s all dairy free thanks to the availability of So Delicious products at our local Randalls store. 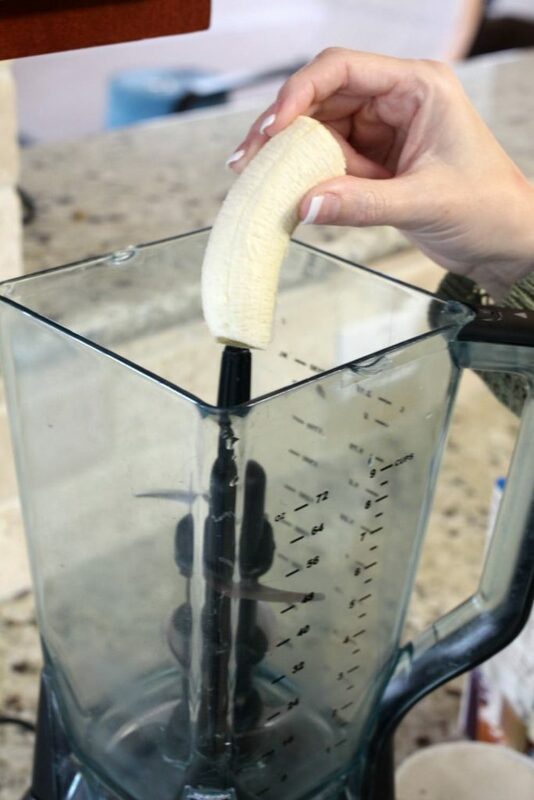 Step one: Peel half a banana and put it in the blender. 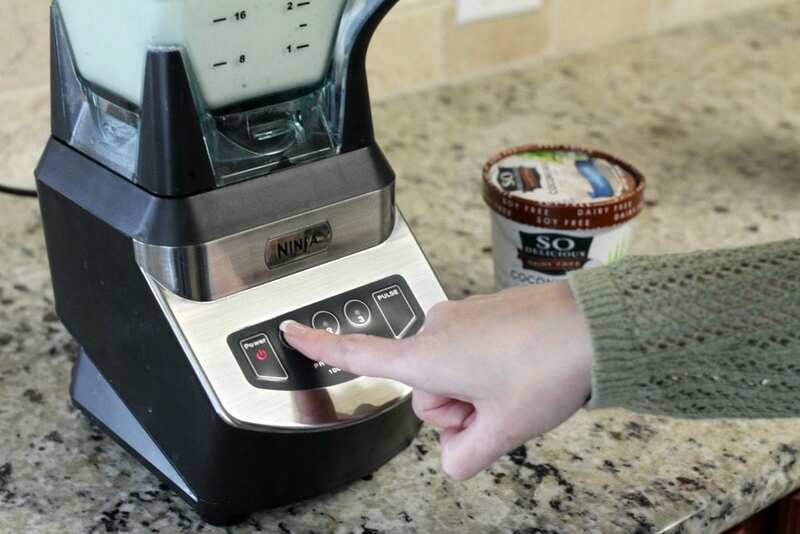 Step two: Pour the entire pint of So Delicious Coconut Vanilla ice cream into the blender. 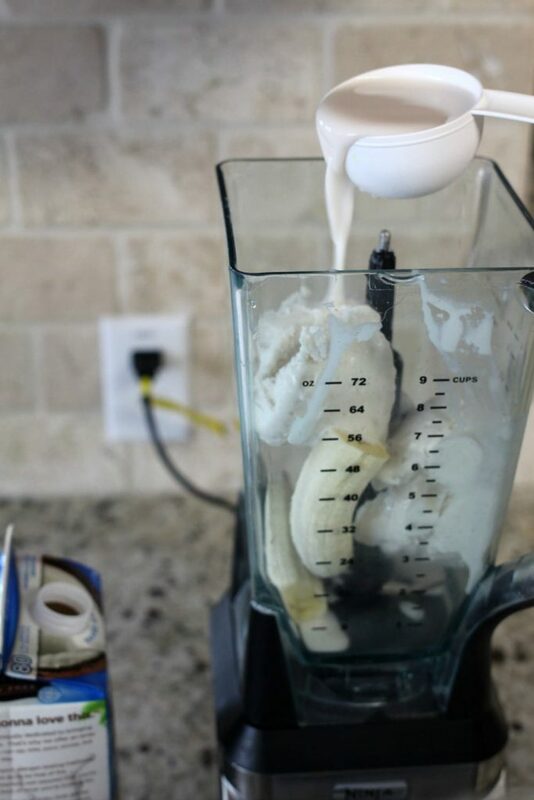 Step three: Pour 1/2 a cup of So Delicious coconut milk into blender. 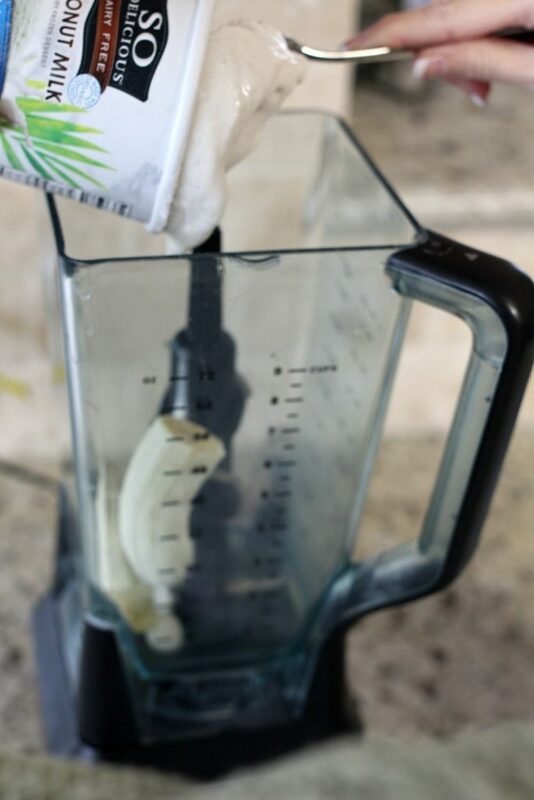 Step four: Blend for about one minute! Step five: Top with So Delicious CocoWhip (dairy free cream topping). Step six: For some color and fun, add a few sprinkles. Easy peasy! 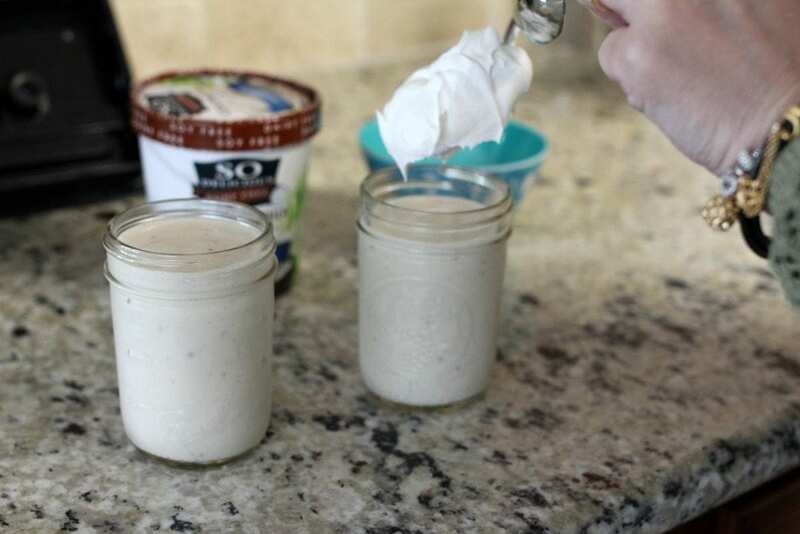 This received rave reviews from my family – those who can have dairy and of course, those who can’t. I was very impressed with the taste and quality of the So Delicious products. The ice cream has a great texture and the flavor was amazing. 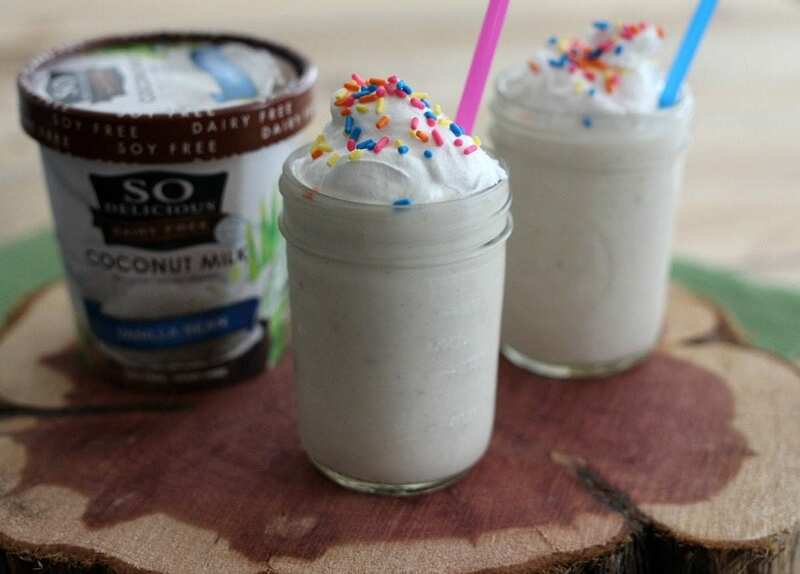 I know it can be hit or miss sometimes with anything dairy free, but I promise you won’t be disappointed! So Delicious products are verified by the Non GMO Project’s Product Verification Program (PVP), which is a great thing to know for those of you who try very hard to stay away from genetically modified food. With more and more consumers becoming educated about the food they purchase, it’s good to know that stores like Randalls are providing us with options. With April being Earth month, it’s the perfect time to be more conscientious about what we put in our carts. Randalls is here to help you build a better cart by offering food choices, such as So Delicious pints of ice cream, that can help make an impact on our environments and our diets. To celebrate Earth Month in a fun way, Randalls kicked off the Every Cart Counts program on April 6,2016. How exciting would it be to head up to the cashier and for them to tell you that your groceries are being paid for? Whaaaaatt you ask? White Wave Foods will be purchasing random shoppers’ entire cart of groceries when they have one or more of the following participating items in their cart. The promotion lasts until April 26, 2016. You can trust that all of these brands and products are are responsibly-produced. From Earthbound Farms who have almost 50,000 acres of certified organic farmland, Horizon who helped pioneer the organic dairy movement and Simply Pure creamer which is made with real milk and cream and real cane sugar. Let’s celebrate Earth month by building a better cart shall we? Now, who’s ready for a milkshake? I’ll have to remember this for couple friends who are dairy free. Perfect for everyone. Very simple, very tasty and, most importantly, appropriate for children 🙂 Keet it up! This looks so creamy and delicious! 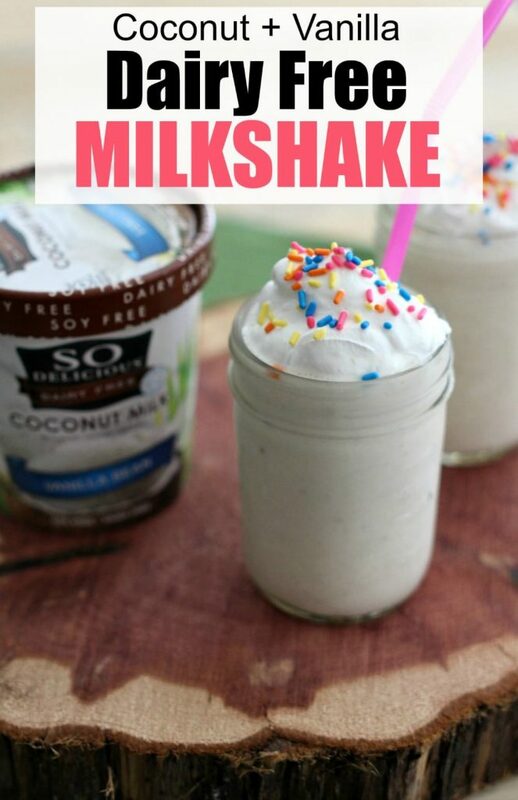 I went dairy free for several months when I was nursing, and how I wish I would have had one of these to sip on. This was a great idea! I love that brand of ice cream! I am dairy free! I must try this! Great recipe to add to my files! I love how healthy it is and how prettily you decorated it! Vegan delightful! I love the SO DELICIOUS brands and your special touches on this, make it look extra SO delicious! This looks so good! I need to make this for my family! They can’t have a lot of dairy so I know they will love this! These look delicious! 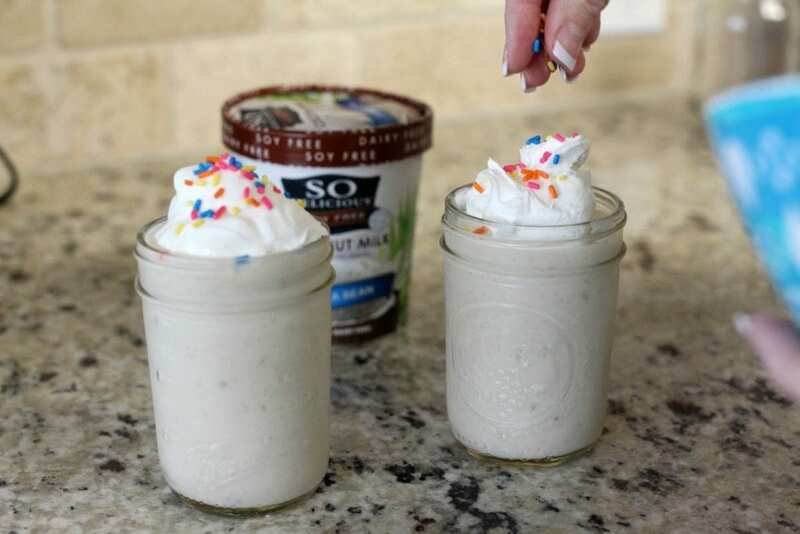 Vegan milkshakes are a new favorite of mine. This was my first one and I really liked it!